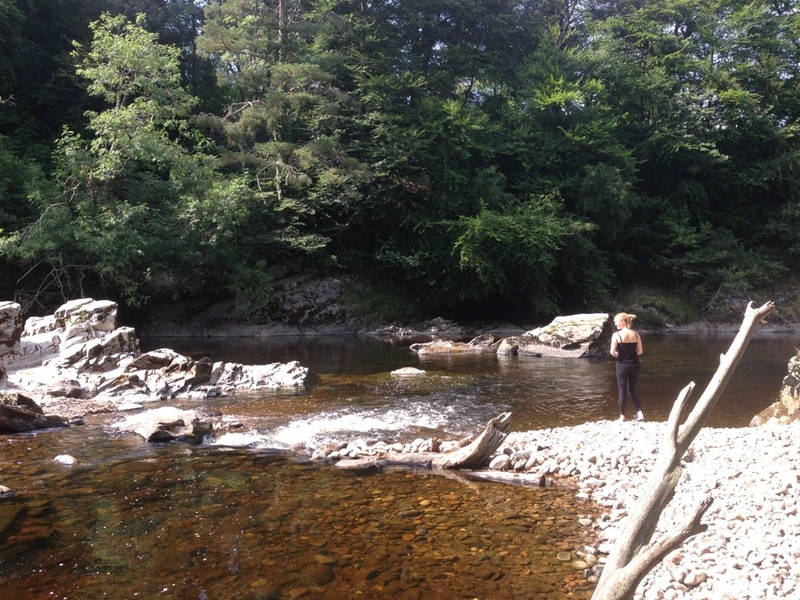 There is a place where the River Findhorn and the Davoch Burn meet, a wild place where soldiers of Scottish legend once battled. Here the churning gorge of Randolph ‘s Leap is a whisper on the breeze. A beach of shingle drops sharply into the confluence. I am ankle-deep. A step. Now thigh-deep. The water – water that once fell as rain or perhaps snow in the high Monadhliath – grasps at my legs, strangers to its previously unbroken flow. A sharp breath and I’m in and under, and suddenly breathless. I swim from the Irn Bru of the Davoch Burn into black, unknown depths, and roll onto my back. 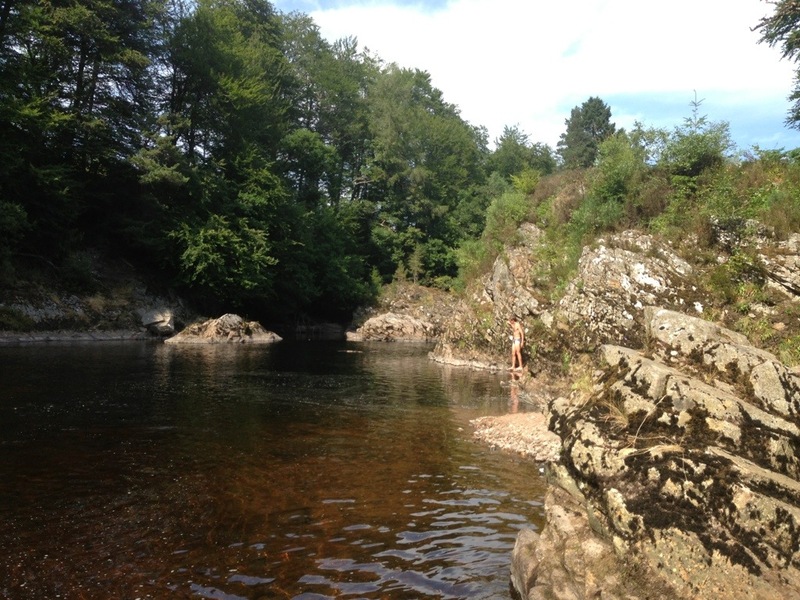 I swim again, into the whisky of the Findhorn. The water shallows and I can no longer swim. Dragging hands over slimy rocks, I reach the far bank. I have crossed a river. I shuffle and swim back to the river’s centre, guarded by a boulder. I scramble up and jump into the deeper, fast-flowing water on the other side. I swim, a lusty front crawl, against the current, the outflow of the Davoch. The fight cannot be won; the river’s will is unceasing. Knowing it is time to go, I emerge. Waist-deep. A step. Ankle-deep. And out, back on shingle, wondering which is the greater part of the wild swim: the wild or the swim?